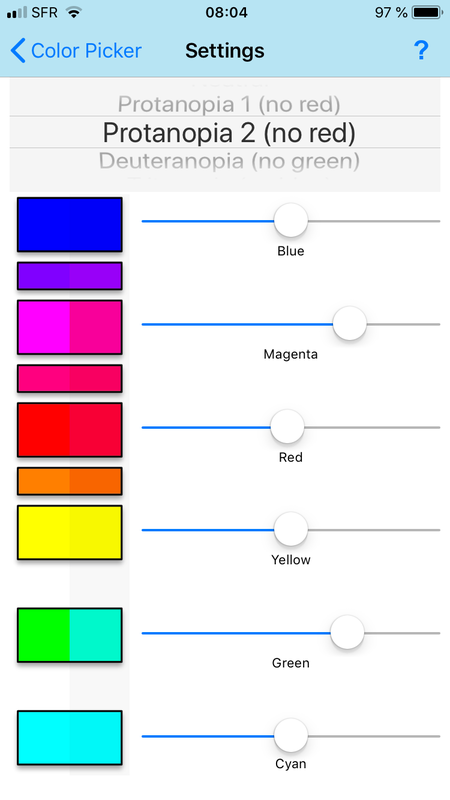 - Landscape left view for your own mapping of your troublesome colors. 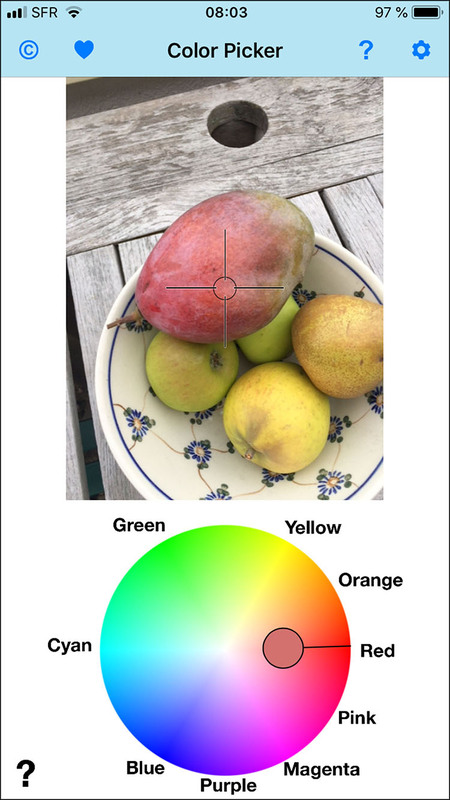 You can pinch zoom any image when a detail needs to be analysed. 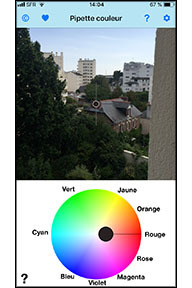 Roll you mouse on the image for an example. 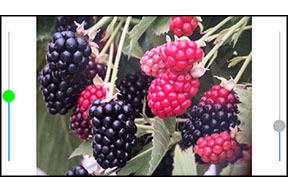 If you have protanopia (lack of red sensibility), you will have trouble discriminating red blackberries from the ripe black ones. 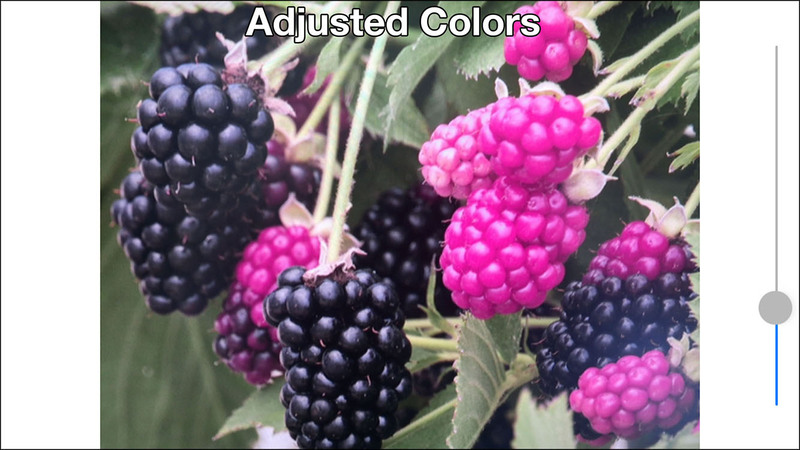 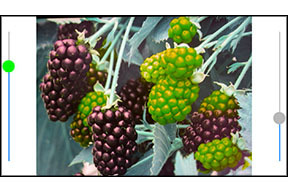 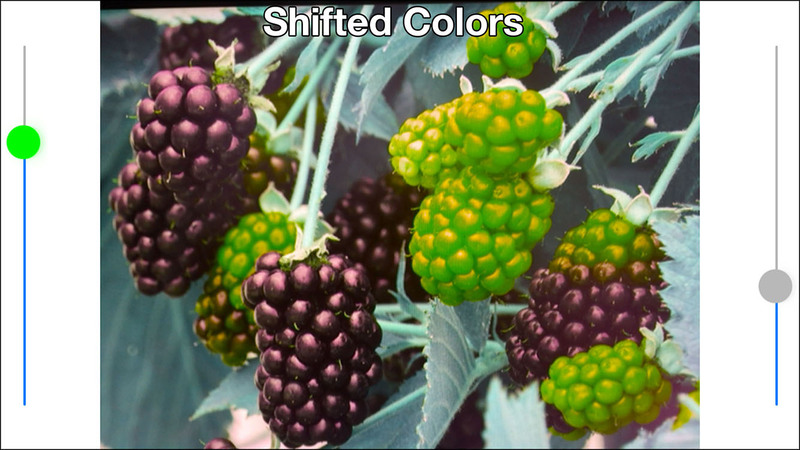 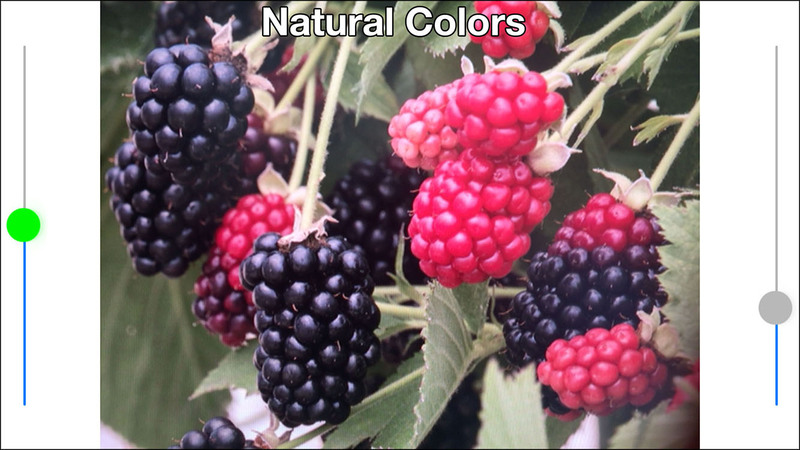 In landscape right mode, you could just shift the hue (left slider) until you feel comfortable for ripe berry picking! 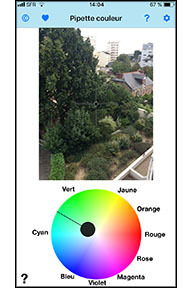 Roll your mouse on the image to see a red to green shift (left slider) as well as a slight saturation increase (right slider).